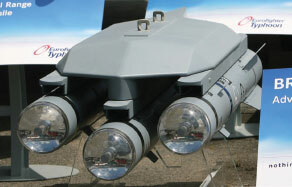 The war on terror in the Middle East has been good for the air-to-ground missile (AGM) market. Spending on AGM systems during 2016 reached an estimated $3 billion and is projected to reach $3.2 billion by the end of 2017. The US has been carrying out bombing operations against ISIS since 2014, consuming munitions quicker that they can be replenished. AGM systems require a production lead that can in some cases take years before the actual missiles start coming off production lines, and therefore, orders through FMS channels have been pouring in. Saudi Arabia is an especially keen client because they have spent Billions on bombs and missiles for their operations in Yemen and Iraq against ISIS. The Spratly Island controversy in the South China Sea has heightened tensions in the region, which in effect, has prompted surrounding countries to purchase additional weaponry (including AGMs) in the event of hostilities. North Korea’s saber rattling is another situation which has the APAC region on provides motive to build up missile inventories. The United States leads the market in the production and sale of AGM systems worldwide. This is mainly due to the extensive RDTE capability that it enjoys. Other countries, such as Europe, India, Turkey, South Korea, China, and Russia, also have the significant capability to manufacture AGM systems and compete successfully in the overall arms market. However, a larger portion of other countries around the world do not have the infrastructure to develop or produce military armament and are required to procure arms from the above countries. Lockheed Martin, MBDA and Raytheon are leaders in the AGM market, winning roughly 80% of the total defense contracts awarded during 2016. The popular Hellfire system is key to Lockheed’s success, as was the case with Raytheon’s HARM and AGM-154 Joint Standoff Weapon system. MBDA’s Brimstone and SPEAR missile offerings also kept the organization among the top sellers of AGMs. Several companies participating in the AGM market have realized that systems integration is a key element to success. New platforms, such as the F-35 Joint Strike Fighter, Eurofighter Typhoon and a plethora of newly developed drone systems, require specialized engineering to carry and launch a variety of missiles. Partnerships are also an important dynamic within the air-to-ground missile market. In order to win defense contracts, companies need affiliates that are in tune with future requirements and have a history of success. As on-going conflicts around the globe continue to flourish and threats of future conflict threaten the security of certain nations, AGMs will continue to be a popular weapon on many country shopping lists. Research and development initiatives to enhance AGMs also affect the growth of the market, especially as new air platforms are developed that require specialized missiles. The contributing countries of MBDA remain focused on the development of joint systems that can be integrated among a variety of platforms, thus streamlining both cost and effort.